A discussion starter for caregivers offers help for children struggling to describe their emotions. 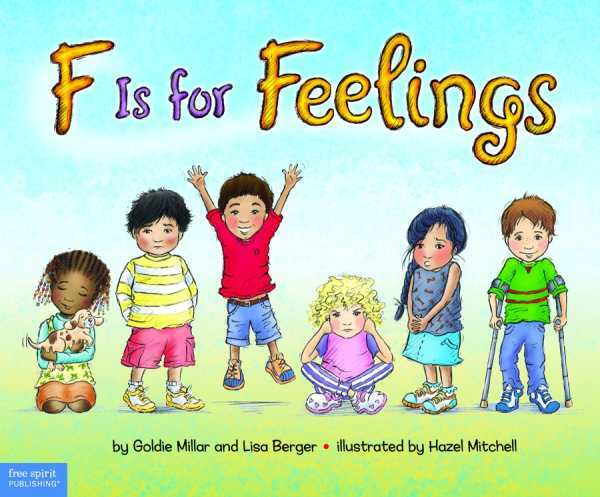 In the format of an alphabet book, this guide lists common feelings in an approachable way. Each page presents an image of a child in a relatable situation, with a variety of characters to aid in the understanding of oneself and others. Perfect for classrooms and homes alike. Ages four and up.